Virtually all of the most ambitious students in the world, at all levels – elementary, secondary, and tertiary – have one thing in common these days: the desire to become proficient in a language other than their native tongue. This desire has resulted in a total of 2 million language travel students in the world today, a figure expected to increase to 2.5 million by 2020. The language learning market is changing at rapid pace due to the globalization of the economy and the adoption of cost-efficient technology-based products. The worldwide language learning market (all languages combined) generated a hefty $58.2 billion in 2011. When combined with revenues from language services such as localisation, interpretation, and translation, this figure jumps to $82.6 billion. What’s driving the demand for foreign language proficiency? Additionally, a European Commission study showed that more than half of Europeans (53%) use languages at work and 45% think they got a better job in their own country thanks to their foreign language skills. The ability to speak a foreign language can often boost earnings, sometimes adding as much as 15% to a person’s salary in the US, 34% in India, and 55% in Thailand! Of course the incentive for learning a foreign language isn’t always money motivated. The benefits of a bilingual or multilingual education are well documented, such as: aids cross cultural understanding and global awareness; enhances academic progress in other subjects; narrows achievement gaps; benefits higher order, abstract and creative thinking; enriches and enhances cognitive, skills, and emotional development; enhances a student’s sense of achievement; helps students score higher on standardized tests; improves chances of college acceptance, achievement and attainment; enhances career opportunities; benefits understanding and security in community and society. Right now, roughly 18% of Americans report speaking a foreign language versus 26% of Canadian and 54% of Europeans. Most countries around the world start language education at the earliest levels possible, but for the most part, language instruction still has a long way to go in US primary schools. A 2008 Center for Applied Linguistics study showed that 25% of elementary schools and 58% of middle schools offer foreign language instruction. The study also indicated that 91% of high schools offer foreign languages, but according to studies funded by the Department of Education, only 30% of American high school students are enrolled in foreign language classes. Therefore, any amount of enthusiasm that American students demonstrate towards language learning or study abroad would surely be a welcome sign. Only a small proportion of US students pursue degrees overseas compared to other nations. As the Institute of International Education’s 2012 Open Doors Report showed, about 14% of American students receiving Bachelor’s degrees this past year have studied abroad at some point during their undergraduate programs, while only 1% of US students are studying abroad during a single academic year (273,996 out of the 20+ million students enrolled in US higher education). 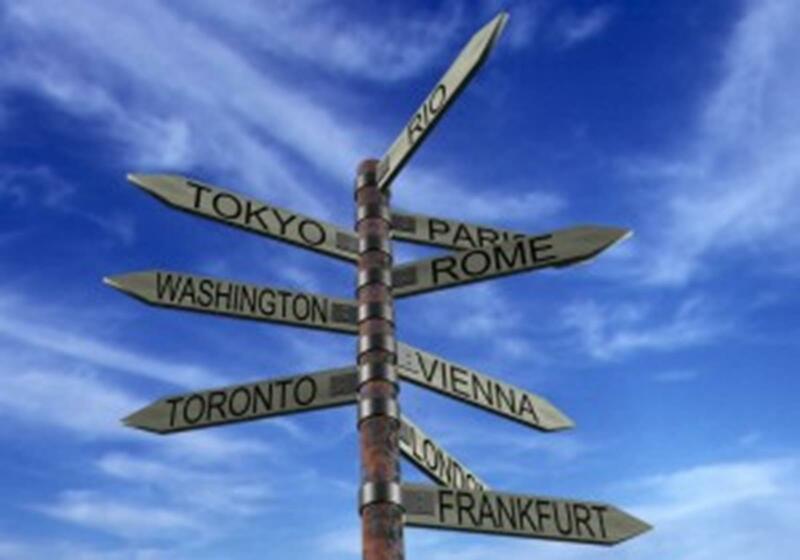 The report indicates that the leading destinations for American students include: UK, Italy, Spain, France, and China (which remained the fifth largest host destination for the fifth year in a row). Interestingly, there were significant increases in the number of Americans studying in several “non-traditional” destinations outside Europe, such as: Brazil, China, Costa Rica, India (a 12% increase over the 2010/11 academic year), and South Korea. While US students have traditionally gravitated towards studying abroad in Western Europe, today’s students are interested in learning about cultures that are critical to US strategic interests and in acquiring languages that will give them a competitive advantage in the global workplace. Likewise, governments around the world are implementing new mandates for their school systems designed to increase proficiency in the English language. The governments of Rwanda, South Sudan, Turkey, the Russian Federation, South Korea, Japan, Malaysia, Vietnam, China, Thailand, Brazil, Chile, and Argentina have all instituted broad-reaching federal programs designed to increase English proficiency. For example, in China and Dubai, children start to learn English as early as kindergarten. And reforms to British curriculum (due to take effect in 2014) include all children in Britain being taught a foreign language from the age of seven. Furthermore, Scotland announced last year that within a decade all pupils will start learning other languages from the first year of primary school. It’s no secret that Europeans take language learning seriously, as the “Eurobarometer Survey on Europeans and their Languages” carried out last spring showed. Based on the responses of almost 27,000 people in 27 countries, the results showed that in accordance with the EU population, the most widely spoken mother tongue is German (16%), followed by Italian and English (13% each), French (12%), then Spanish and Polish (8% each). The five most widely spoken foreign languages remain English (38%), French (12%), German (11%), Spanish (7%) and Russian (5%). Two thirds of Europeans (67%) consider English as one of the two most useful languages for themselves. The next languages perceived as the most useful are German (17%), French (16%), Spanish (14%) and Chinese (6%). Just over half of Europeans (54%) are able to hold a conversation in at least one additional language, a quarter (25%) are able to speak at least two additional languages and one in ten (10%) are conversant in at least three. Almost all respondents in Luxembourg (98%), Latvia (95%), the Netherlands (94%), Malta (93%), Slovenia and Lithuania (92% each), and Sweden (91%) say that they are able to speak at least one language in addition to their mother tongue. Countries where respondents are least likely to be able to speak any foreign language are Hungary (65%), Italy (62%), the UK and Portugal (61% in each), and Ireland (60%). Which languages are in demand? It’s estimated that over 7,000 different languages are spoken around the world. 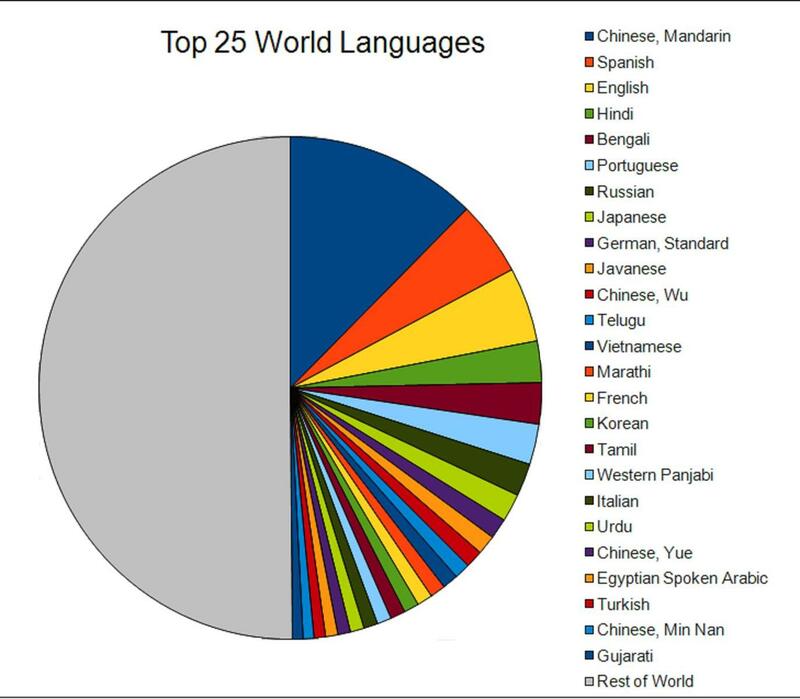 The world’s most widely spoken languages by number of native speakers and as a second language, according to figures from UNESCO, are: Mandarin Chinese, English, Spanish, Hindi, Arabic, Bengali, Russian, Portuguese, Japanese, German and French. Of course, the demand for programs in certain languages will vary across the world. In India, for example, there have been recent reports of a surge in applications to take the Japanese language proficiency test. Despite the rise of non-Western nations in today’s global economy, English is still the language most commonly used as the lingua franca of business, science, research, and politics. But for native English speakers, which language should they turn to next? There is no denying the popularity of Spanish. With 495 million speakers and 18 million students studying Spanish as a foreign language, it is the second most spoken language in the world today, after Mandarin Chinese, and is an official language in 21 countries. And as the second most common language of economic powerhouses America and Brazil, a period of study in Spain can pay dividends. Forecasts suggest that in three or four generations, 10% of the world’s population will understand Spanish, and the US will have the highest volume of Spanish-speakers, after Mexico. Not only is the Latin American region economically ascendant, but the use of Spanish online has grown by a staggering 800% in the last few years, making it the third most popular Internet language behind Mandarin and English. Facebook alone has over 80 million accounts in Spanish. Across the pond, Spain receives the largest number of students from the popular Erasmus program, and in total, the country hosts more than 2% of all international students. Interest in Spanish is mounting in Asia – specifically China, Hong Kong, Japan, and India – no doubt due to the growing importance of the language in global economic markets. According to a 2012 study by the Spanish research firm Instituto Cervantes, about 25,000 Chinese undergraduates studied Spanish in China in 2012, up from a mere 1,500 twelve years ago. The report also revealed that 35 Spanish academies now operate in Beijing, and 90 universities in China offer Spanish courses. And of course, Mandarin is an obvious language frontrunner given that it has the most speakers in the world, with estimates ranging from 12-14% of the global population. China’s economic growth, as the world’s largest exporter from 2010 and now the world’s second largest economy after the United States, has elevated demand for the Chinese language, one of the official languages of the UN. The enthusiasm to learn Mandarin is quickly spreading to all corners of the globe, with powerful emerging economies like India and Colombia opening Confucius Institutes and welcoming native speakers to teach in their local primary and secondary schools. The Chinese government is keen to aid the promotion and awareness of the Chinese language and culture abroad, opening a global network in 2004 of non-profit public Confucius Institutes. There are now over 350 Institutes and over 470 Confucius Classrooms worldwide. Chinese is currently offered as a foreign language subject for middle school students in 500 schools in India and the government-run Central Board of Secondary Education plans to gradually promote the study of Chinese in 11,500 middle schools across India. As the fourth largest country in the world with the largest overseas migrant population, China is home to the most spoken language in the world – Mandarin Chinese – and this latest push in India is an example of an ever-growing demand from all corners of the world’s educational landscape to train non-native Mandarin speakers. The Australian government is also on board. Under its National Plan, it aims to offer every Australian child access to the study of an Asian language from their first day of school by 2025, which is part of a broader goal to increase strategic engagement with Asia’s fast-rising economies. Meanwhile in Britain, whilst language courses at secondary school level are no longer compulsory nationwide after age 14, reports actually indicate a wider interest in the Chinese language, with a 40% increase in students sitting the GCSE (General Certificate of Secondary Education) exam in Mandarin Chinese since 2002. In 2010, the total number of students sitting the exam grew by 5% compared to the previous year. Similarly in the US, an 18.2% increase from 2006 to 2009 was noted in higher education enrollments for Chinese language courses according to the Modern Language Association, echoing a 4.7 fold increase in the number of US students studying abroad in China in 2009 compared to 1999. And some schools in the US are going as far as to make Mandarin mandatory, such as a school district in Georgia which has embarked on a bold plan to have all its children fully bilingual — in English and Mandarin — by the time they graduate from high school. Last fall, children from pre-kindergarten through third grade began mandatory Mandarin classes, part of a curriculum that in three years will include middle school and high school students. Moving along, Panama has reportedly proposed legislation to make Mandarin classes compulsory in all schools. And the Sindh provincial government in Pakistan has also announced plans to make Chinese language compulsory to all students from Class VI (ages 10-11). Finally, the Swedish Education Minister has also expressed similar desires to move towards a less Eurocentric curriculum, by adding Mandarin to the foreign language offering. As China continues to grow as an economic superpower, it seems likely that the fashion to study Mandarin will too increase. Although not traditionally an easy language to master, the Chinese Ministry of Education indicates that over 40 million people outside China are currently learning Mandarin and that the number is growing annually. It probably comes as no surprise that Spanish and Mandarin are popular foreign language to learn, but in recent years, interest in other languages has spiked (i.e., Portuguese, Arabic, and Russian). The demand for Portuguese is growing in US universities – not just for native English speakers but for native Spanish speakers as well. Although Portuguese has always been an important world language, it has only recently been recognized as a key language for business and international relations – no doubt due to the rising strength of Brazil’s economy and its role as host to the 2014 World Cup and 2016 Summer Olympics. Portuguese immersion programs play an important role in educating language learners, and Brazil is hands down the most popular Lusophone destination. Ambitious students continually look for private language courses for summer study and service learning opportunities throughout Brazil. Meanwhile, colleges are forging partnerships with bi-national centers and universities in order to take cohorts of students for more advanced language learning opportunities. At some institutions, immersion is a mandatory feature of the Portuguese program. For example, at Dartmouth College, students take intensive Portuguese 1 on campus and go to Brazil for intensive Portuguese 2/3 and the other necessary courses that fulfill the foreign language requirement. The number of American students studying Arabic has increased significantly over the years, as well as the number of students studying in Arabic-speaking countries. In 2002, only 562 Americans were studying in Arabic-speaking countries versus 3,399 in 2007, according to a February 2010 report from the Institute of International Education. Finally, we couldn’t talk about education trends without mentioning the impact of technology. Today, enrollment in online courses is growing at a faster rate than that of higher education overall, and more schools are striving to increase their web-based programs. While many courses have made an easy transition to online instruction, educators have struggled to create high-quality, foreign language courses and even foreign language degree programs offered exclusively over the Internet. However, there are several examples of schools experimenting with online language learning models such as James Madison University, which made history when it became the first college to partner with language learning software company Rosetta Stone. And the University of North Carolina at Chapel Hill, which moved all of its Spanish 101 instruction online three years ago. And perhaps the real game changer is Oregon State University, which is launching an online bachelor’s degree in German this fall, believed to be the first program of its kind in the US. Ultimately, the language and methods a student chooses to study will depend upon their motivation, be it for future employment, further academic research, or simply personal interest. Discovering what drives each individual student is the key to ensuring his or her success. ICEF Monitor offers market intelligence, news and research for international student recruitment. Visit the website and subscribe for free updates at www.icefmonitor.com. Can I know how will be the demand for French language in USA? Will it be an added advantage? Great article and a crucial topic for today’s serious educator. I would love to see additional similar articles. Americans need to change their mindset when it comes to global language learning. This is a great and timely article, a crucial topic for today’s serious educator. I would love to see additional, similar articles dealing with this vital topic. Americans need to change their mindset regarding the need to improve and expand upon global/world language instruction K-12. I have read and heard these same complaints about Americans’ low level of foreign language proficiency for years. The question is, what incentive is there to improve it? the majority of both private and public sector employers insist on native level speaking ability as a condition of employment. If you plan to study a language, look at it in the same way as learning a musical instrument or taking up art.